Posted on May 28, 2011, in Declan's Diagnosis and tagged Aqueductal Stenosis, hydrocephalus, shunt. Bookmark the permalink. 6 Comments. Wow. I read every word of your blog and I’m just speechless. I knew his condition was potentially serious, but I had no idea the high failure percentage for the shunt. Roland and Kayleigh…I’ve said it multiple times, but I mean it from the very bottom of my heart. You’re in my constant thoughts and prayers. You’re boy *is* perfect; don’t ever let yourselves be convinced otherwise. He has a medical condition that, if not treatable, certainly can be managed. He’s beautiful and yes…he probably does have a lot on that little mind of his. I love you both and am here for you if you just need a sounding board. Squeeze that beautiful baby tight for his great Aunt Cathie and let him know that he’s loved from miles and miles away. And, while you’re at it, don’t forget beautiful Amelia. She needs an extra squeeze or two through you from me. “Failure”, while it is pretty terrifying, isn’t quite as horrible as it sounds. 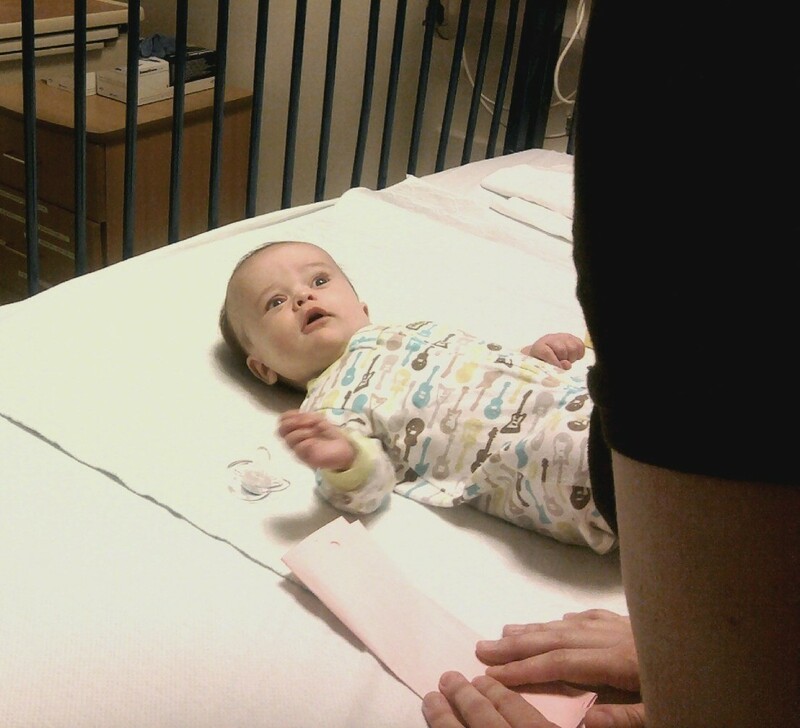 What it means is that we have to basically watch him constantly for signs that the shunt is failing. If it does fail, as long as we are able to catch it quickly there shouldn’t t be any lasting damage, but it will almost certainly mean more surgery. I can’t imagine. I wish I had been there. I just wanted to comment with a success story. My boyfriend was born at 24 weeks. He had hydrocephalus and required open heart surgery. He had a shunt put in place and it is still in place, and looking at him, you’d never know the struggle he went through. His mother was told he’d never be able to play contact sports, but he is now a full-time college student who wrestles for his school and has played contact sports in high school, also. Declan and your family have been in my prayers and will continue to be. Steph! Thank you so much for your prayers and your comment. We are glad to hear your boyfriend is doing so well and accomplishing things they never thought he would do. You have given us hope and that is no small thing. Thanks for sharing that and we appreciate the prayers.